Check out our kitchen MENU . Deli foods, take and bake pizza, and sub sandwiches. We offer a full coffee bar! Full line of the hottest tackle and fishing gear including St Croix rods and advice on what to use to catch the big one and locations to try. 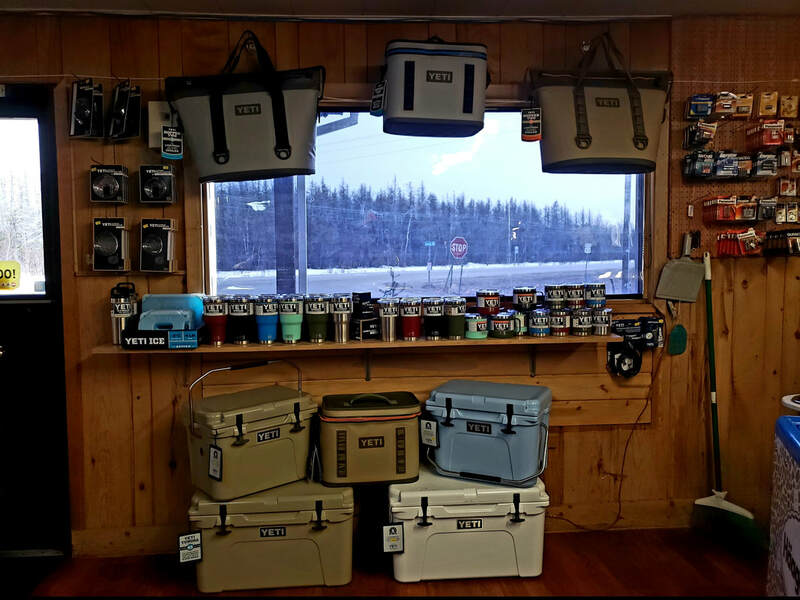 We carry a full line of Yeti gear. 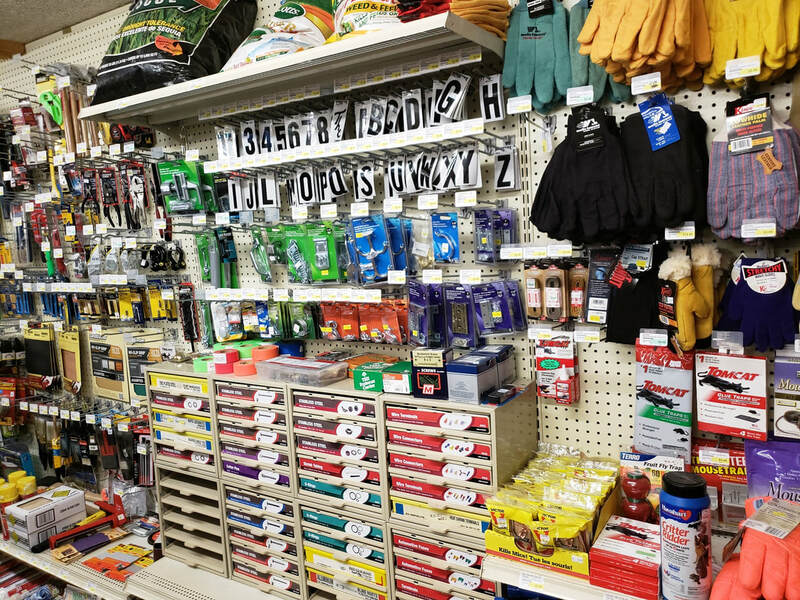 We have everything you need or forgot for spending time up at the lake. 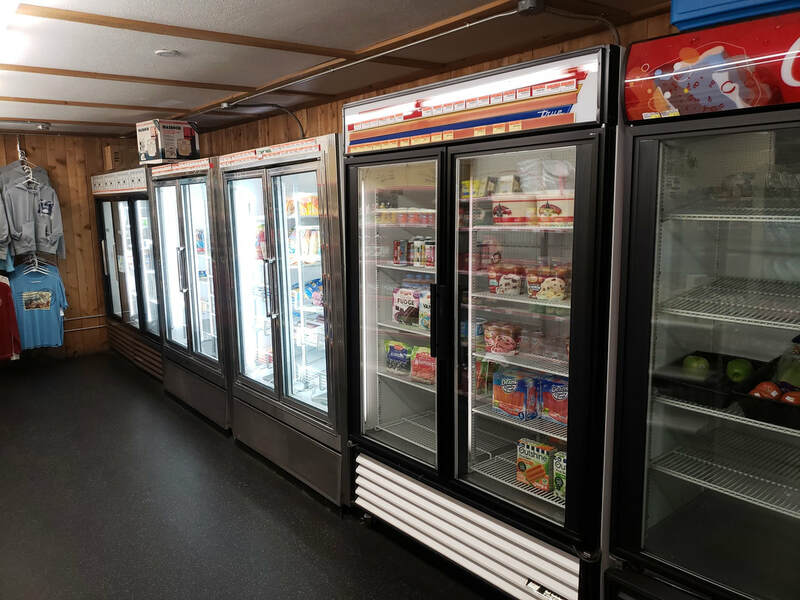 Dry groceries, canned goods, refrigeration and freezer items including milk, eggs, fresh meat and produce and even pickled herring. Too much to list!